My students are currently working on quadratics. 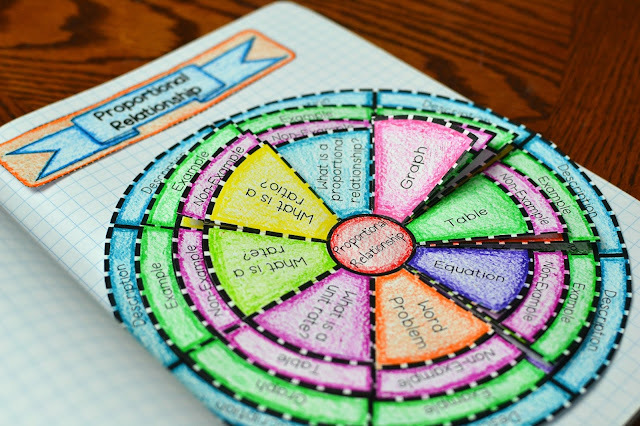 I created a wheel foldable on quadratics to help my students convert between vertex form and standard form. In addition, students will be graphing quadratics, writing the equation of a quadratic, and give the characteristics of a quadratic function. 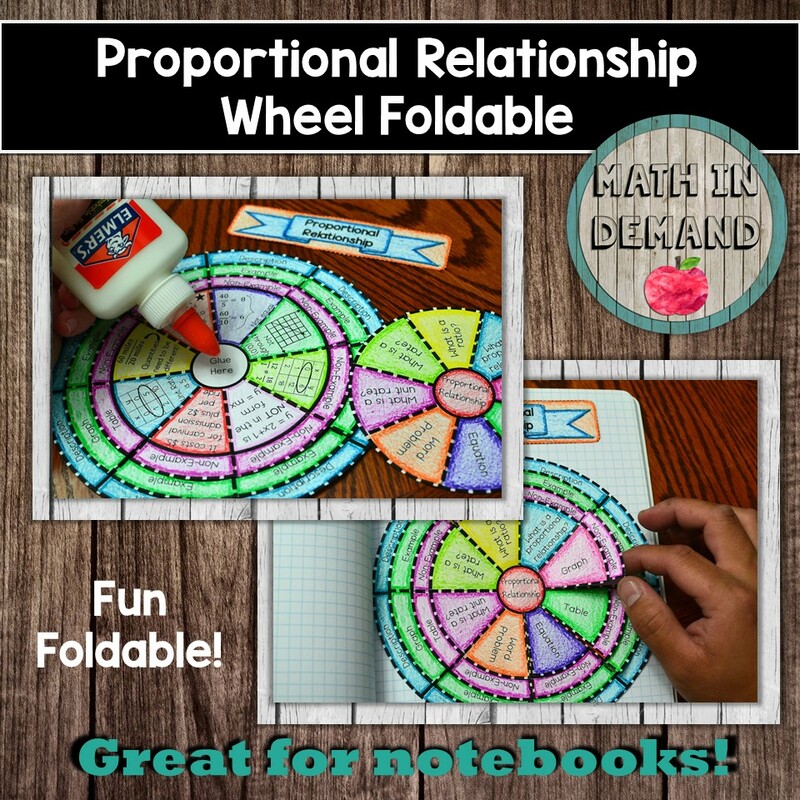 The foldable looks amazing in interactive notebooks! Check it out! I created this slope activity a few years ago. It has also been a popular activity in my classroom. 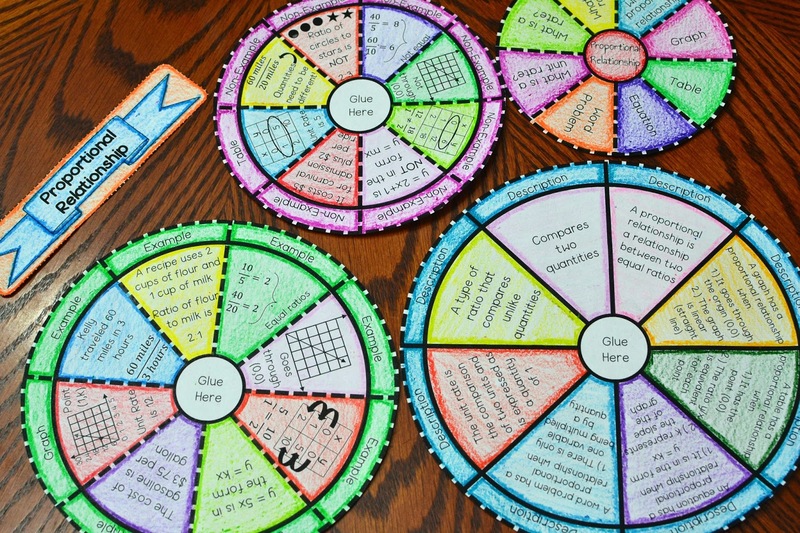 Students are more engaged with this activity more than using a typical slope worksheet. 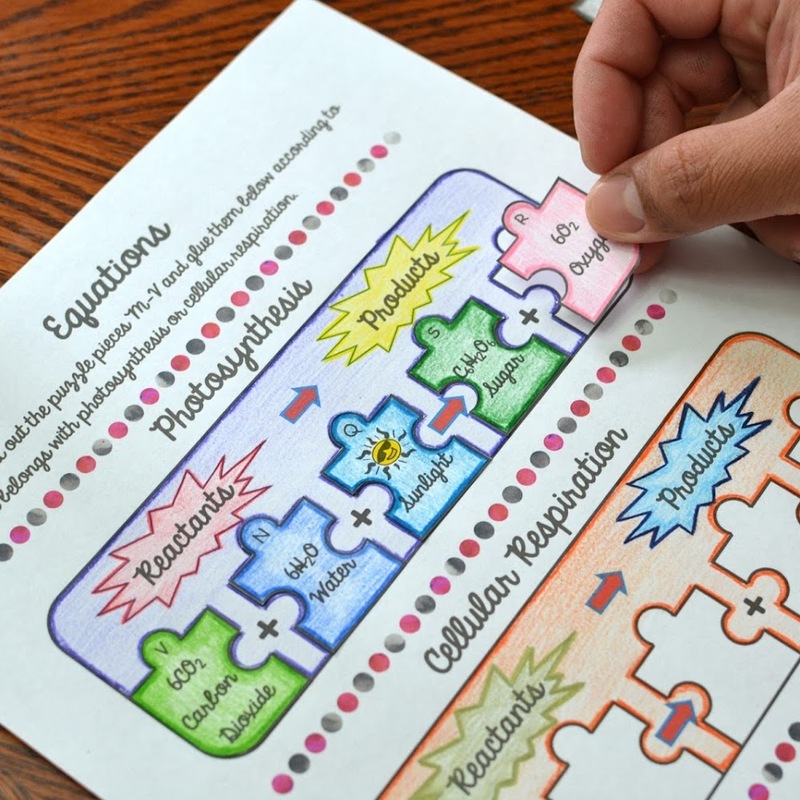 Whether you are looking for math or science material, I've got you covered! 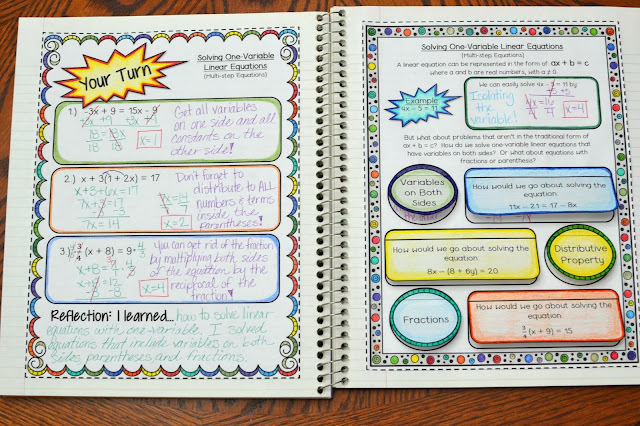 My notebooks are interactive, engaging, and just plain fun!!! You will find a link to my math store below along with my science store. Check it out! 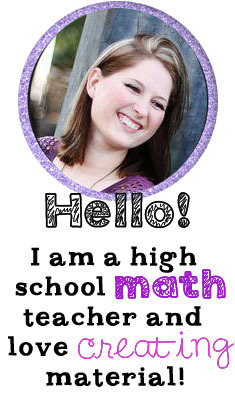 Check out my MATH STORE here! Check out my SCIENCE STORE here! 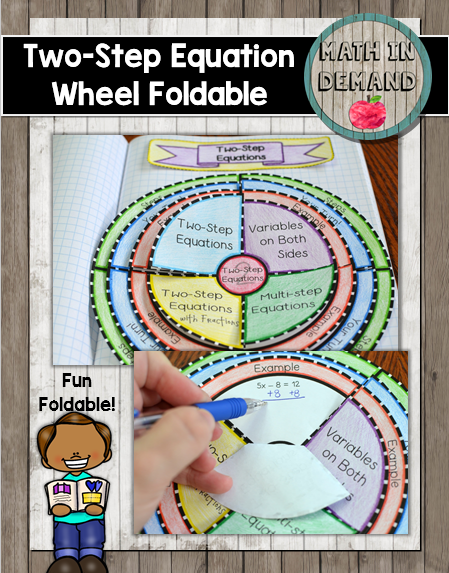 Included is a foldable on two-step equations. 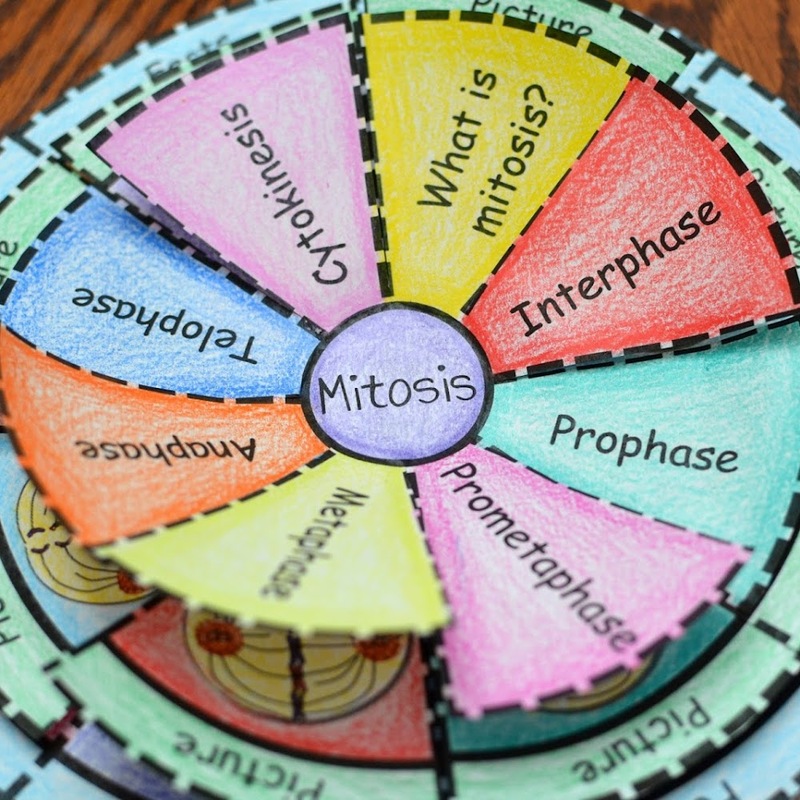 This is a great study tool! Students can either use the foldable as a hand-held foldable or glue them into their interactive notebooks. This foldable has multiple layers. 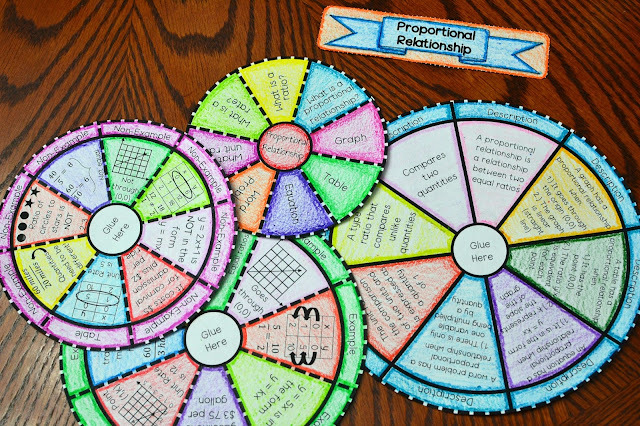 The layer labeled "Examples" is where I use direct instruction to introduce a problem. 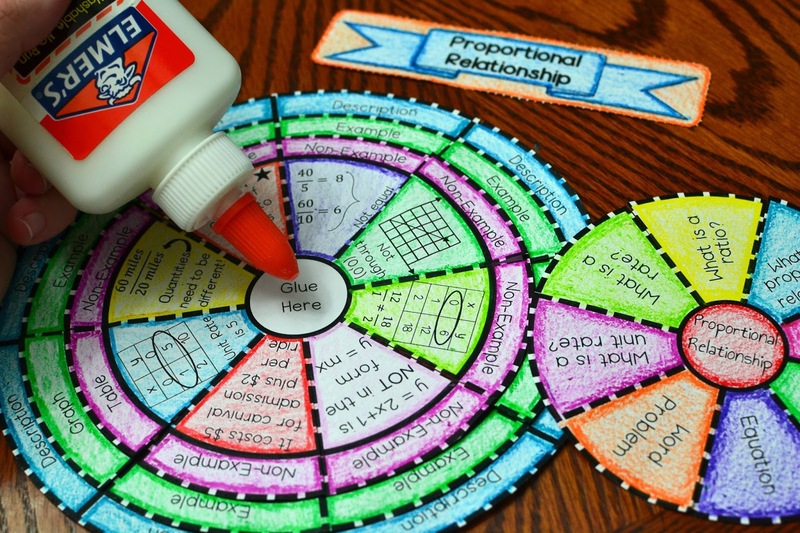 The layer labeled "Your Turn" is where students will apply what they learned to solve another problem. 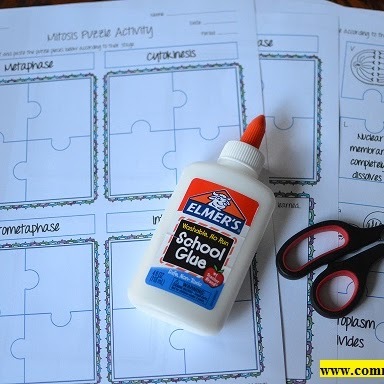 The layer labeled "Steps" is where students will write down the steps/procedure to solve those type of problems. 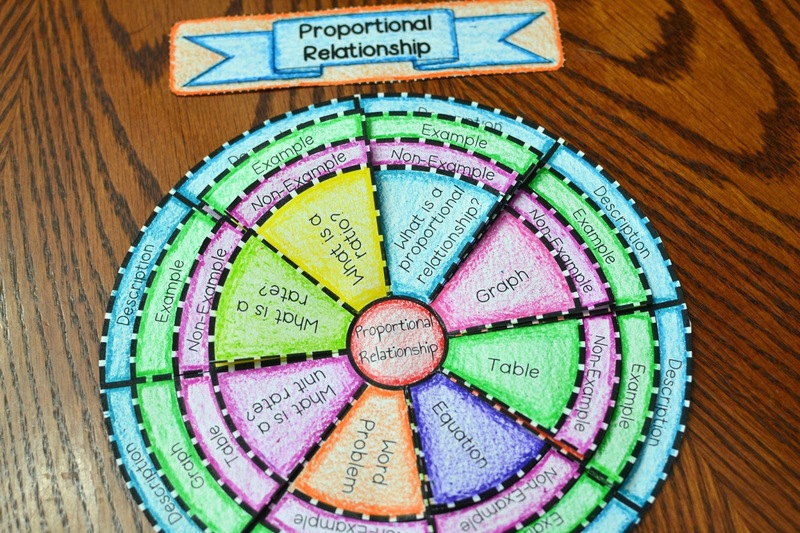 I have just completed another wheel foldable on proportional relationships. Included is a foldable on proportional relationships. 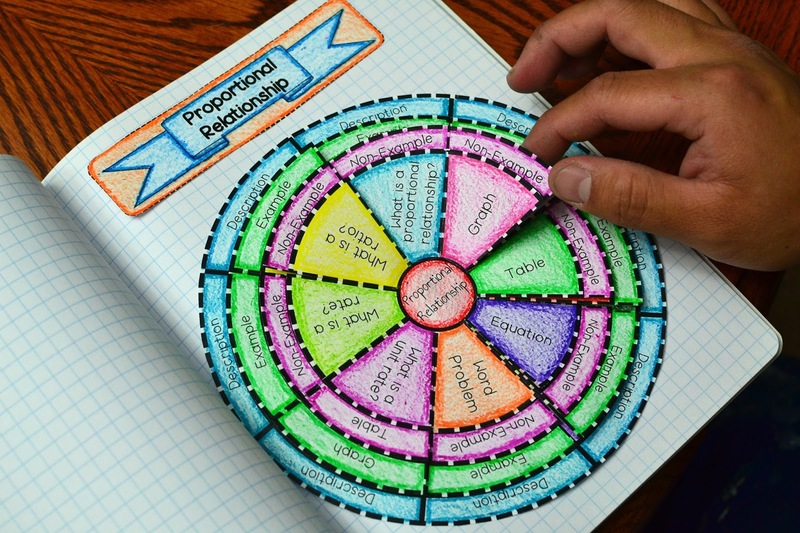 This is a great study tool and looks amazing in an interactive notebook! The foldable goes over how a proportional relationship is represented in a graph, table, equation, and word problem. 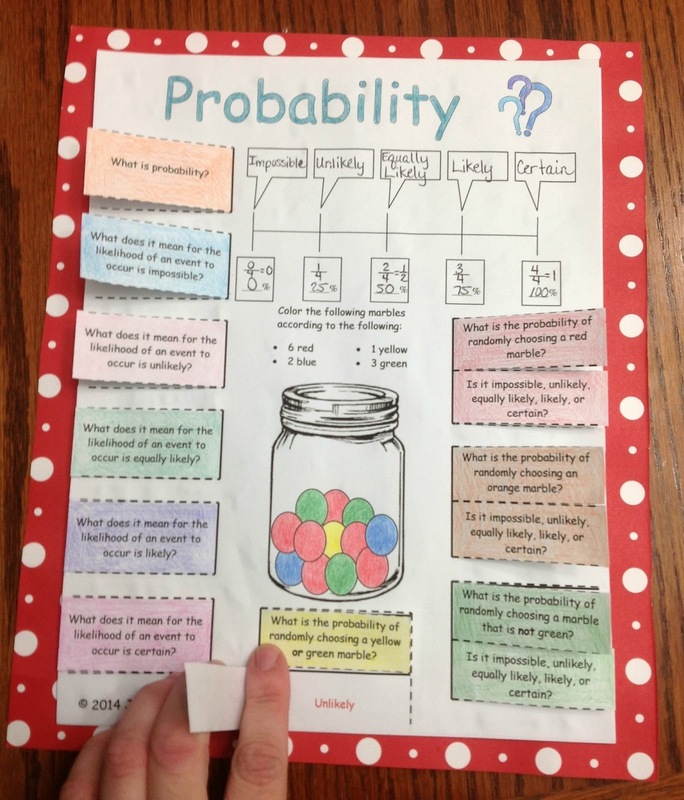 In addition, students will see some examples and non-examples. 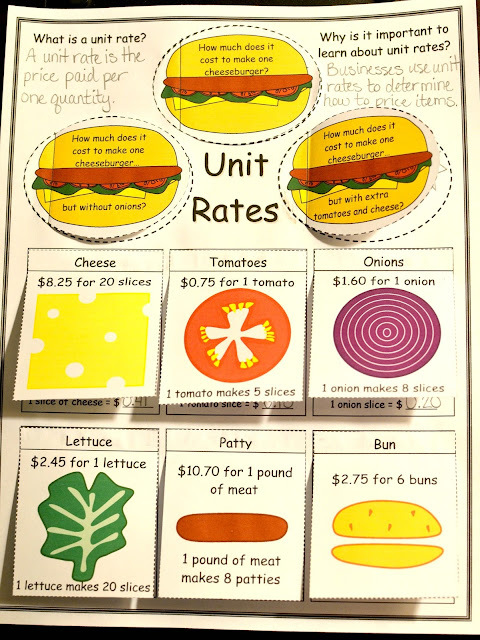 Lastly, the foldable also goes over rates, ratios, and unit rates. I have bundled together all of my math foldables. 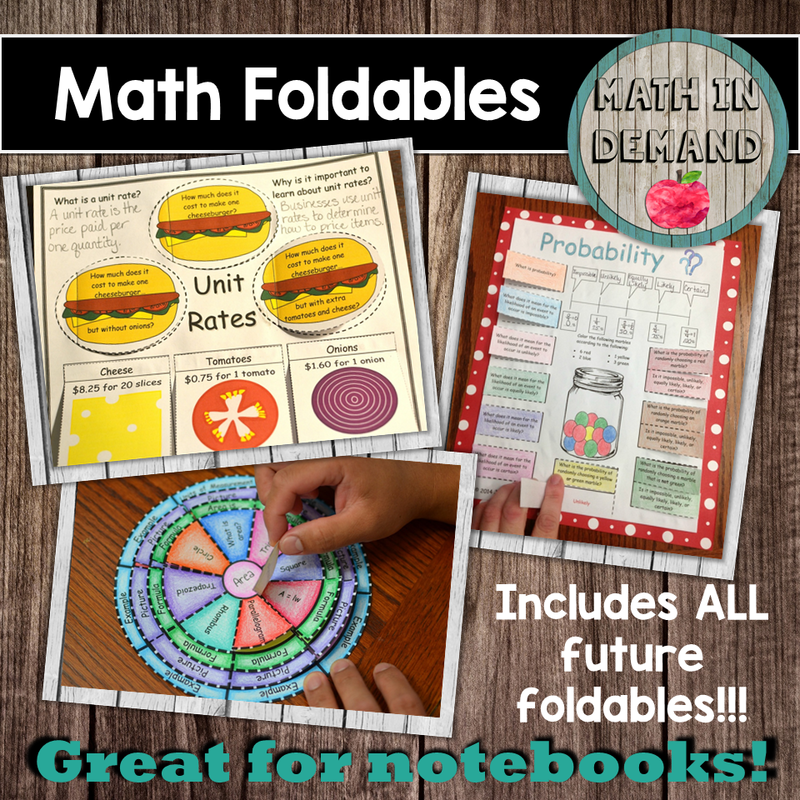 This includes all of the math foldables in my store. Also, this includes ALL future foldables. Hurry now and buy before price goes up! There are 28 foldables. Each sold separately runs between $3-$6. Sold separately would cost over $130!